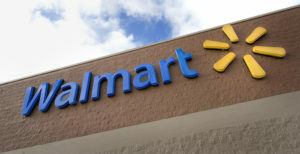 NEW YORK— Walmart announced last week it will invest more than $1 billon toward opening new stores in Florida and California, and remodeling 157 stores in those states along with Texas, Arizona, Indiana and Pennsylvania. The retailer also will expand its grocery pickup and delivery options in all six states. Texas: $264.9 million invested, 54 locationsremodeled, grocery pickup expanded to 74 stores, grocery delivery added to 84stores, pickup towers added to 82 stores.